Dr. Baravarian answers Facebook questions on the Home & Family TV show about flat feet and its treatment. Flatfoot is used to describe several complex foot disorders, each with its own causes and symptoms. The one common thread running through these conditions is a partial or complete collapse of the arch of the foot. If you have flat feet, also known as pes planus, you will have a very low arch or no arch at all, meaning one or both of your feet press flat on the ground. Flat feet can be congential (you're born with it) or can develop over time. Most who suffer from flat feet have no symptoms and normal foot function. But others it causes pain and discomfort. And those who don’t suffer from flat foot pain can suffer increased pain from activity and poor supportive shoes with a lack of arch support. Adult acquired flat foot is not a congenital flat foot but acquired over time. This is due to damage to the posterior tibial tendon which is the main tendon supporting the arch of the foot. With a tear in the tendon over many years of abnormal strain, the arch will begin to collapse as the posterior tibial tendon weakens and unravels. Over time, the collapsed arch may go from flexible to rigid as the foot gets “stuck” in the flat position and therefore is not freely reducible and correctable. It is important to treat a flexible flat foot due to posterior tibial tendon tear rapidly prior to the joints becoming rigid due to the severe collapse. In many cases of flat foot that is not worsening over time and is on both feet problem originates in childhood and lasts throughout adulthood, typically worsening without treatment. The deformity in flexible flatfoot involves a mild, gradual collapse of the foot’s arch, and almost always occurs in both feet. In case of flexible flat foot that is not due to a posterior tibial tendon tear, support of the arch with insoles, orthotics and rigid soled shoes will decrease the strain on the posterior tibial tendon and decrease the risk of further and permanent arch collapse due to tendon tear. Flexible flat foot is often caused by posterior tibial tendon dysfunction. The posterior tibial tendon creates the arch and supports the foot when you push off your toes when walking and running. Any injury to this tendon, which runs on the arch side of ankle and foot, can affect its ability to maintain an arch in the foot and can result in a flat foot. Tight Achilles tendon and/or calf muscle are also a risk factor for flat feet. The tight muscle and tendon bring the heel off the ground too early with each step. This change in gait can exacerbate the problem by increasing pressure on the arch and collapsing the foot alignment. The motion in the joints that causes the foot’s arch to fall is called pronation (where foot rolls inwards causing the arch to flatten). Too much pronation leads to a flat foot, and is considered a disorder, especially when the condition is painful. It is important to remember that a flexible flat foot will sometimes become rigid over time as the joints adapt to the collapsed position and arthritic chances may occur. Therefore, it is important to control the flat foot alignment and hold the foot in a more normal position to avoid long term complications. Some children with flat feet experience foot pain or discomfort during exercise, and may start to withdraw from sports and other physical activities. In some cases, the fallen arch can cause the knee and leg to rotate inward, which can cause foot, back, and knee problems. It’s important to seek medical advice to avoid any further pain or future foot problems. Children can suffer from both flexible and rigid flat feet conditions. When it’s fixed flatfoot, it’s called Tarsal Coalition. Tarsal coalition, also known as rigid fixed-flatfoot, is a condition in which the foot is permanently fixed in a flat position. This can happen when two bones in the rear of the foot are fused together from birth, rendering the joints of the hindfoot and foot in general less mobile. Although most people with fixed flatfoot are born with the condition, usually symptoms won’t manifest until the foot bones start to mature, around puberty (ages 9-15). Patients with flatfoot may experience “toe-drift,” a condition in which the toes gradually begin to point outward. This tendency can cause bunions and hammertoes in some patients. If your feet are causing you problems, visit your foot and ankle specialist for an exam. The doctors at University Foot and Ankle Institute will take a close look at the structure of your feet and examine how your foot moves and changes shape while sitting, standing, or taking steps. An X-ray can help the doctor understand the severity of the condition. If a tendon or ligament tear is thought to be possible, an MRI may be ordered. If you receive a diagnosis of flexible flatfoot but are not experiencing any symptoms, your doctor may recommend no treatment for the time being. He or she will explain what symptoms to look out for and how to prevent them or address them when they arise. One of the easiest ways to relieve the discomforts of flatfoot pain is by wearing well-fitting shoes with a firm sole. Ask your foot and ankle specialist for recommendations, or have your shoes modified to fit your feet. Another easy yet effective treatment for flatfoot is to wear orthotic shoe inserts for arch support. These can be bought over the counter, or you can have custom orthotics made for you by your foot and ankle specialist. A custom brace that combines an orthotic and ankle support may be necessary in cases of tendon tear or severe collapse of the arch. In non surgical cases of severe collapse that is rigid, a brace may also be used to support the foot and ankle. Cut back on activities that are causing you pain. If you are a recreational runner or walker, talk to your foot and ankle specialist about modifying your exercise routine. If you must stand or walk for several hours each day, take frequent breaks so you can rest your arches. Our goal is to keep you moving and allow you to do what you want. Therefore we will try anything possible to not have you limit your activity. Our doctors recommend using NSAIDs (nonsteroidal anti-inflammatory drugs) pain relievers such as ibuprofen to ease inflammation and relieve achy feet. People who are overweight or obese might find some relief with weight loss. Excessive weight puts pressure on your arches, causing pain and exacerbating the condition. For example, one pound of added belly weight places 12 pounds of added weight on the foot. Our licensed physical therapists can recommend ultrasound or other therapeutic techniques to help with everyday aches and pains. Restorative medicine options have dramatically decreased the need for surgery and improved our current treatments for flat feet. Restorative medicine is the ability to increase the body’s own capability in healing damaged tendons or ligaments. In the case of a posterior tibial tendon tear, or scar tissue formation, restorative options are used to help heal tendon damage. It is important to remember to support the region both during and after recovery to prevent further injury. Platelet rich plasma therapy is a mainstay of the treatment of tendon injuries. The platelet material is drawn from the patient’s blood. The growth factors found in the patient’s whole blood are injected into the area of the damaged tendon and to help heal. Bone marrow cells are responsible for the healing of all damaged tissue in the body. A bone marrow concentration can be injected into the damaged tendon, ligament or bone region of the arch to allow the body to heal itself. This is common on the arch ligaments and the posterior tibial tendon tear or scar tissue regions. In severe cases, conservative treatments cannot target the underlying issue causing you discomfort. In these cases, our specialists may recommend surgery. There are several surgical techniques that can be used to address the problem. In adult acquired flatfoot, the most common cause of collapse is due to the posterior tibial tendon tear and needs to be treated with multiple procedures. By just repairing the tendon, you're not realigning the foot, and therefore, the foot can collapse again. 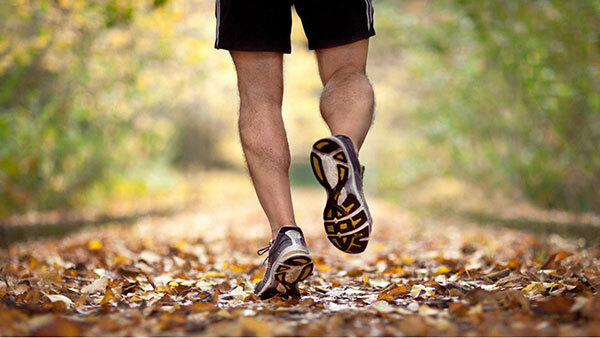 With adult flatfoot, there is normally a tightness in the calf and/or the Achilles that needs to be addressed. During surgery the posterior tibial tendon is repaired and in some cases will be augmented with a tendon transfer. Our surgeons then realign the foot in a stable tripod position. This allows for all points of the foot to be on the ground in the same position, creating a normal arch on the foot. Surgery usually involves correcting the flat foot position by removing the boney, cartilaginous, or fibrous bridge between the two bones that have grown together, or that had never completely divided naturally. In the case of tarsal coalition, if the coalition is severe and show significant signs of arthritis or deformity, a joint fusion of may be recommended. The goal of this procedure is to align the foot in a proper position and permanently fuse one or all of the rearfoot joints. Rearfoot fusion should be reserved for the most severe cases of tarsal coalition. Our nationally recognized surgeons have decades of combined experience and helped develop the techniques used in the surgical correction of flat feet. With the highest success rates in the country, our specialists work hard to get you back on your feet and back to your life with the least invasive treatment possible. Our team of doctors at UFAI have developed some of the premier surgical and non surgical treatments for both pediatric and adult flat foot conditions. We have also been at the forefront of both conservative work up options of the foot and conservative non surgical options for the right patient. Our combination of ground breaking clinical research and surgical research makes UFAI the best option for the treatment of flat foot conditions. Overpronation: What Is It and How Can You Correct It? What are the Best Running Shoes for my Flat Feet? What Are The Best Running Shoes For Your Type of Feet?